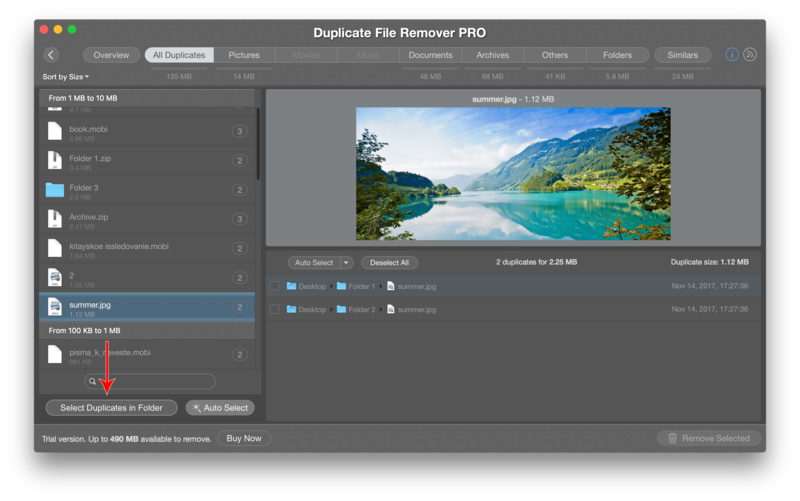 Duplicate File Remover Pro allows you to quickly select duplicate files in a specific folder. For this use the Select Duplicates in Folder button. Click the Select Duplicates in Folder button. 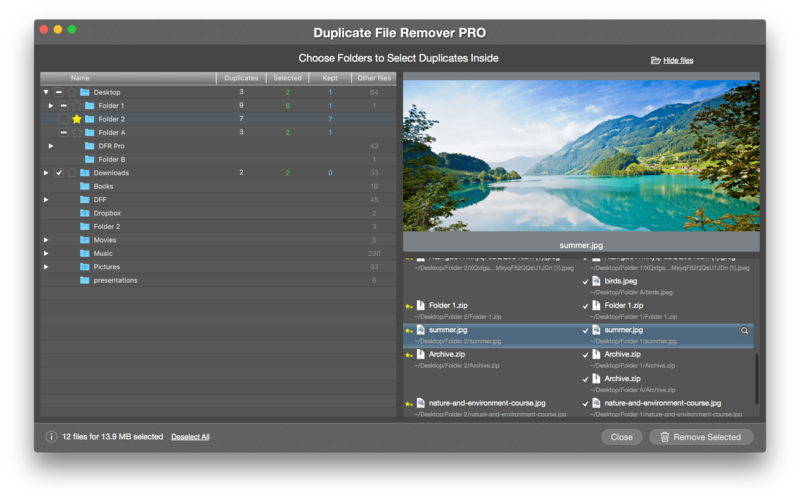 Select the folders in which you want to remove duplicates and click the Remove Selected button. 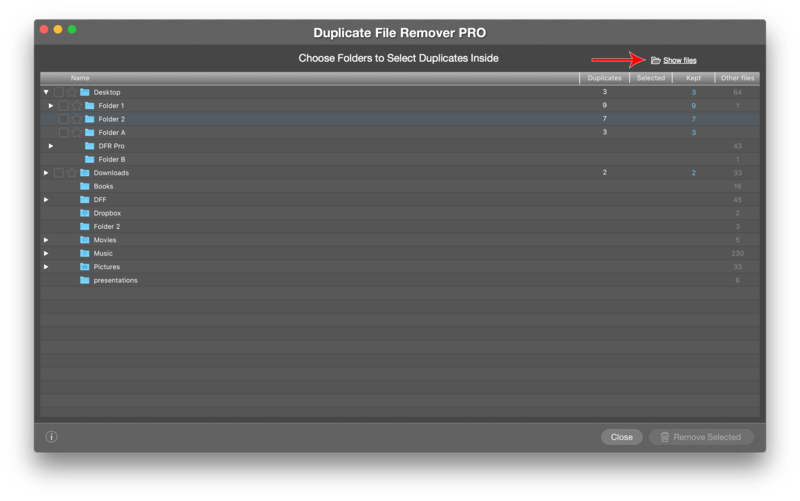 Tick the Checkboxes if you want to select duplicates in a folder for removal. Click the Star icon if you want to keep all files in a folder, and select their duplicates in other folders. Preview the selected files and confirm the deletion. 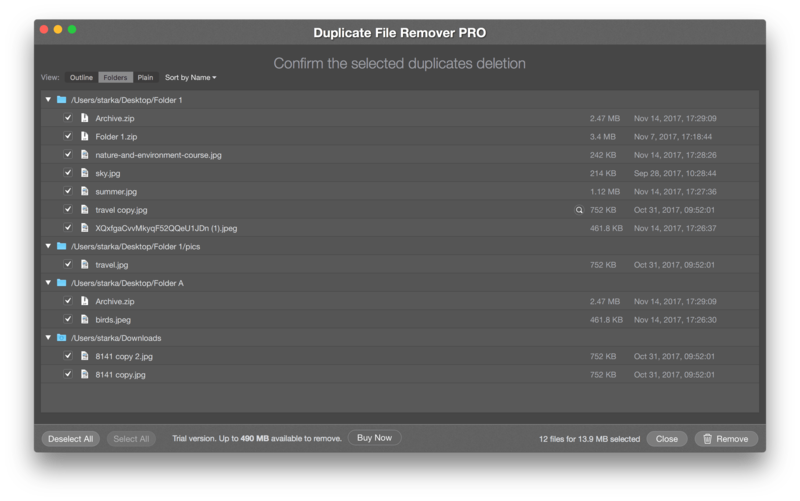 Note: by using the Select Duplicates in Folder option, you can be assured that you will not remove all copies by accident. The app keeps at least one duplicate and makes it impossible to select all duplicate copies.